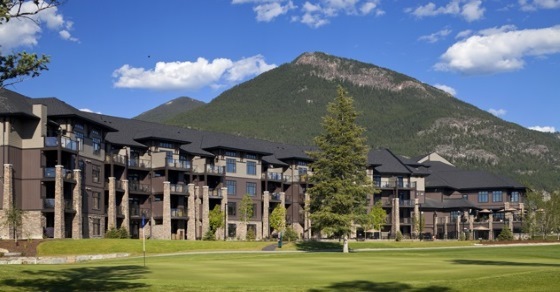 Copper Point Resort, Invermere’s newest upscale hotel is a whole new level of stay and play in the Columbia Valley! Copper Point Resort puts you in the heart of Columbia Valley golf trail. The resort provides a distinctive Columbia Valley golf experience with 2 courses right on site – Copper Point Golf Club and The Ridge at Copper Point. If variety is what you’re looking for, the Columbia Valley Golf Trail’s other 7 courses are within a 25-minute drive. Copper Point Resort is a perfect home base for exploring the areas rich variety of golfing experiences. When you have enjoyed all your golf it is time to relax and take in all that the resort has to offer while you reminisce about the day’s great shots and missed putts. Their stunning indoor or outdoor Elements pools and hot tubs are a great way to unwind. Elements Grill is a contemporary restaurant with indoor and outdoor seating which is fast becoming a favourite among foodies. This innovative restaurant and bar at Copper Point Resort delivers modern elegance with refreshing simplicity. Their list of other in-house amenities include Fusion Spa, fitness room, sports courts, walking trail, kids playground, fire pits, complimentary WiFi and underground parking. *Your 2 Nights/ 2 Rounds package rates are per person and based on Double occupancy in a Queen room and are quoted as starting from April 13th. Firm travel dates and occupancy numbers could change the above pricing. Packages are built using their respective hotel and 1 round each at Copperpoint Golf Course and Eagle Ranch Golf Course.